Langhorne, Pa. (June 12, 1966) - Langhorne Speedway is once again the home of the world record for one-mile on a mile track. 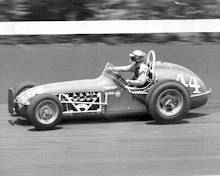 Mario Andretti, the Nazareth Pa., speedster, batted 1,000 at the “Horne” yesterday afternoon as 26,200 fans watched him establish a world record in the time trials and then go out and win the 100-mile National Championship Car race, leading all the way. Andretti is a young man in a hurry. In fact, in five championship car races this year, Mario has not only won the pole position in each one, hut has broken the time trial record at Phoenix, Trenton, Indianapolis, Milwaukee and now Langhorne. In the Phoenix trials in March, he was clocked in 29.41 seconds. (122.407 mph) which stood as the world mark until yesterday when he lowered it to 29.36 seconds (122.615 mp) on the ‘Home’s D-shaped asphalt surface. Andretti, driving the Dean Van Lines Special, a rear engine Ford owned by Dean Racing Enterprises, covered the 100 miles in one hour and 47.78 seconds for an average speed of 98.690 miles per hour. This was excellent time when you consider that caution flags came out four different times for a total of 30 laps. The race actually finished under the yellow. Sam Sessions took a spin on the third turn in the 90th lap, losing control because of some oil on the track. It was discovered later that the oil had been leaking from the car of Bobby Unser and the stewards decided it best to complete the race under caution. Winner Andretti thought the race officials acted wisely as the track was very slick between the third and fourth turns. Even runner-up Jim McElreath, who won both championship car races at Langhorne last year, agreed with the decision. McElreath had closed in right behind Andretti when the final caution flags were displayed, but was honest enough to admit that he didn’t think he could have overtaken Mario, unless the latter ran into mechanical difficulties. The time for the 100-miles establishes a record for the distance on the paved track as no official time was available last year because the race had to be stopped and restarted. 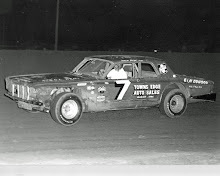 Joe Leonard, Don Branson, Billy Foster and Roger McCluskey rounded out the first six to cross the finish line and all completed the full 100 laps. Mario’s victory earned him about $8,000 of the total purse of $27,300. Henry Banks, director of competition for the United States Auto Club, said this was the first championship car race to finish under the caution flags in a long, long time. Twenty-two cars started and 13 were still running at the finish. 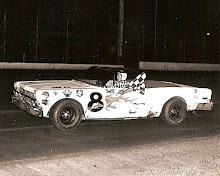 The yellow flags first came out on the 28th lap when Art Pollard and George Snider spun out on the first turn. It took six laps to tow the cars, off and racing resumed. The caution flags weren’t seen again until the 73rd mile when Jim Hurtubise took a spin on the backstretch. After six more laps under the yellow the race resumed and just one lap later, Ron Duman and Bob Hurt took spins and seven more laps were required to get the track ready again. Then on the 90th lap, Sessions and Al Unser took spins and the race was completed under caution. Andretti now owns the time trial record on every major paved track in the country with the exception of Atlanta. The Italian-born racer collected his first victory at Langhorne as his wife and two year-old son looked on. 1. 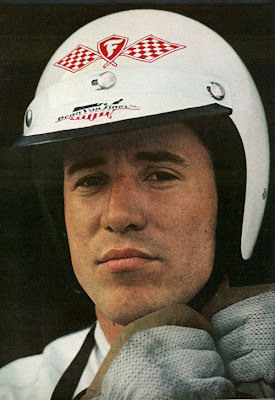 Mario Andretti, Nazareth, Pa.
2. Jim McElreath, Arlington, Tex. 3. Joe Leonard, San Jose, Calif.
4. Don Branson, Champaign, Ill.
6. Roger McCluskey, Tucson, Ariz.
7. Bob Harkey, Indianapolis, Ind. 8. Arnie Knepper, Belleville, Ill.
10. Carl Williams, Grandview, Mo. 12. Chuck Hulse, Downey, Calif.
13. Ronnie Duman, Speedway, Ind. 15. Sam Sessions, Nashville, Tenn.
16. Bob Hurt, Potomac, Md. 17. 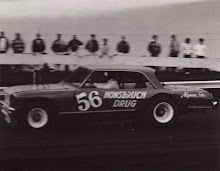 Jim Hurtubise, North Tonawanda, N.Y.
18. 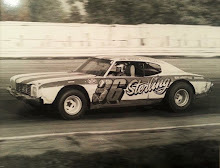 Bud Tinglestad, Speedway, Ind. 19. Gordon Johncock, Hastings, Mich.
20. Gary Congdon, Garden Grove, Calif.
21. George Snider, Torrance, Calif.
22. Art Pollard, Indianapolis, Ind. Thanks for writing a bit about Andretti. Such an amazing racer and I always feel encouraging reminding his great racing tasks. Love this sharing! !